Nikko is a historic and scenic retreat in the heart of Japan, nestled in the mountains north of Tokyo. 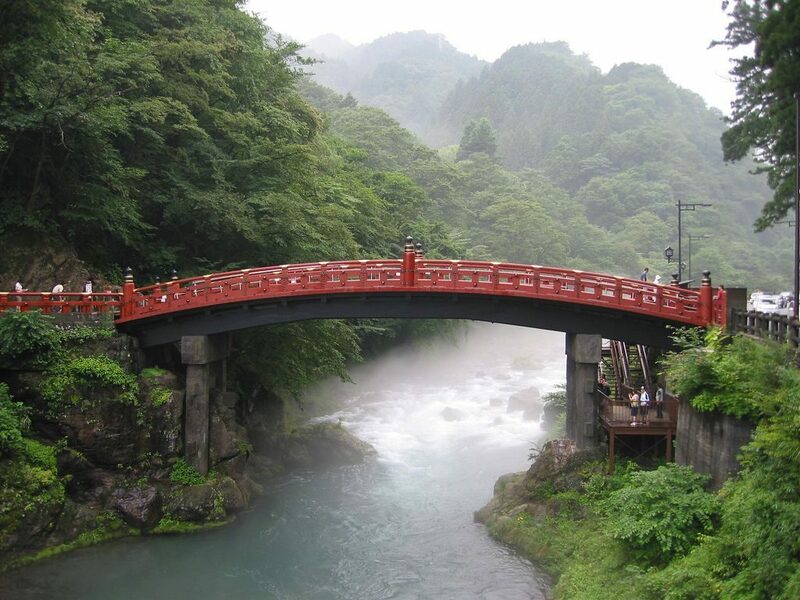 Located at the entrance to Nikko National Park, the town offers beautiful mountain vistas, waterfalls, and hot springs. Hiking in the park, you may even spot a troop of wild native monkeys. 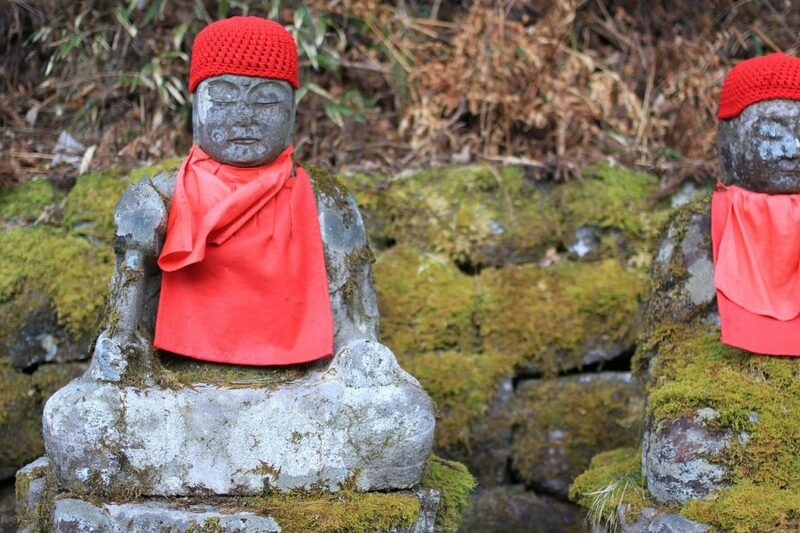 The area has been sacred to the religions of Buddhism and Shinto for many centuries. 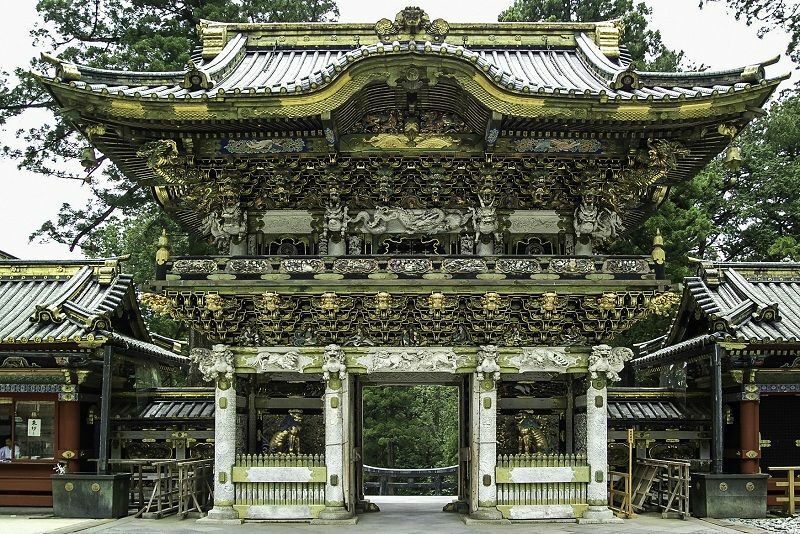 Declared a UNESCO World Heritage Site, the town of Nikko is perhaps most famous for Toshogu, one of the most intricately decorated shrines in Japan. Built in 1617, Toshogu also serves as the mausoleum of Tokugawa Ieyasu, founder of the Edo period, also known as the Tokugawa shogunate. This shogunate was the last feudal military government in Japan, and it lasted from 1603 to 1868. In this form of government, the leaders were all from the Tokugawa clan and were called shoguns. Nikko lies in the Tochigi prefecture, 150 km north of Tokyo, and along the Romantic Road, a favorite vacation route among the Japanese people that has been largely overlooked by foreign tourists. Now you can experience one of the Romantic Road’s prime destinations with the convenience of your Japan Rail Pass. Nikko is one of many interesting day trips from Tokyo made possible using your Japan Rail Pass since traveling time is less than 2 hours from Tokyo by train. To get from Tokyo to Nikko, simply take the JR Tohoku Shinkansen (“Yamabiko” or “Nasuno Trains”) from Tokyo Station or Ueno Station to Utsunomiya; then, take the JR Nikko Line to Nikko Station. Train prices without the Japan Rail Pass are ¥2,590 (23 USD) one way. 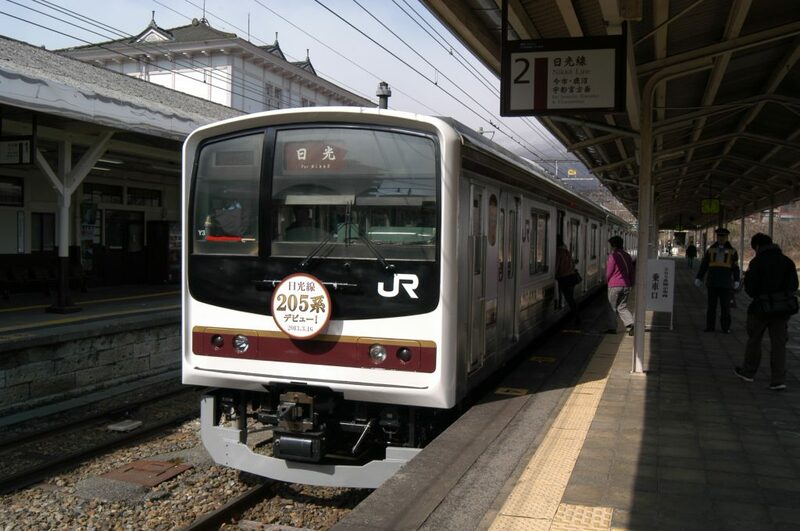 The JR Tobu line departs from Tokyo’s Tobu Asakusa Station and offers the JR Tobu Nikko Express. This reserved seating train makes the trip in only 1 hour and 45 minutes. However, your JR Rail Pass (with the exception of the JR East Pass) is not valid on the Tobu Line portion of the trip, so you will incur a small fee of ¥1560. If traveling directly from the Narita Airport, you may take a direct highway bus from the airport to Nikko. The one-way trip lasts approximately 3.5 hours and costs ¥4500. If you prefer to use your JR Rail Pass, take the Narita Express from the airport to Tokyo Station and travel with the Tohoku Shinkansen as described above. If you are wondering what to see in Nikko, there is no shortage of interesting locations to visit. Nikko National Park is home to thousands of tall, majestic cedar trees. Enjoy a peaceful and contemplative afternoon hiking in the shade of their boughs. Surprisingly, foggy days produce the most interesting hiking experience, allowing you to immerse yourself in the forest’s splendor. If you wish to view the koyo, or autumn colors, plan your visit for late autumn. The leaves begin changing in the mountain heights in early October, and peak around the town of Nikko in early November. The 100-meter tall Kegon no taki, or Kegon Waterfall, is a must-see. The fall is the only outlet for Lake Chuzenji, and it is ranked as one of the three most beautiful waterfalls in Japan. 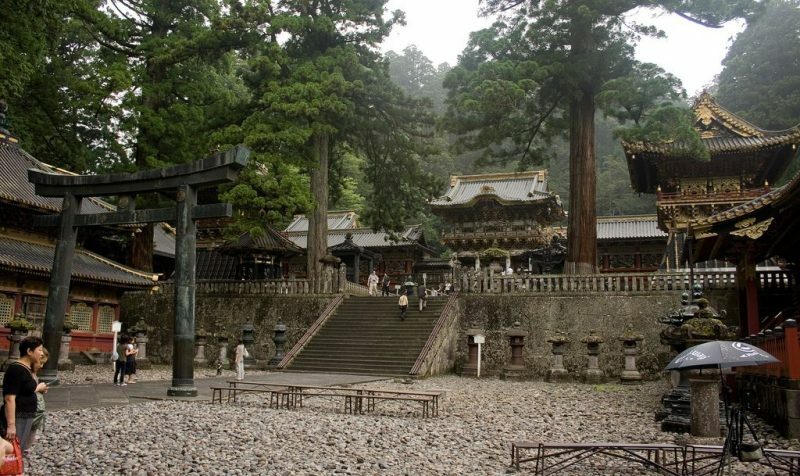 Toshogu Shrine is comprised of more than one dozen buildings encircled by the cedar forest. Entering the main gate, you will encounter elaborately adorned storehouses, a five-story pagoda, the ornate Yomeimon Gate, and the Crying Dragon painting in Honjido Hall. When touring the shrine complex, you will be amazed by countless wooden carvings covered in gold leaf decorating the structures. Outside the main shrine area, you may visit the Nikko Toshogu Museum, which holds a collection of swords, armor, and other personal effects belonging to the shrine’s founder. Please note that some of the historic buildings will be under renovation until 2024. The Nikko Edomura, or Edo Wonderland, is a historical theme park that recreates life in Japan during the Edo period, the time when the Toshogu Shrine was built. Park staff wear authentic period costumes, and visitors may rent costumes as well. You can tour the town’s Edo period architecture, visit wax museums, shop for souvenirs in historical markets, play games at the Ninja Trick Maze and House of Illusion, and view live theatrical shows. The attractions in Nikko lie within an area of only a few kilometers, making travel by bus an easy option. The World Heritage Meguri Bus circles the town and shrine areas 4 times an hour, and one-way tickets or 2-day passes may be purchased for buses traveling to outlying areas such as Lake Chuzenji. The word nikko means “sunlight” in the Japanese language. You are sure to enjoy this town’s sun-like radiance if you step off the beaten path and pay a visit to beautiful and historic Nikko. For more information on travel in and around Japan, visit our travel itineraries blog. 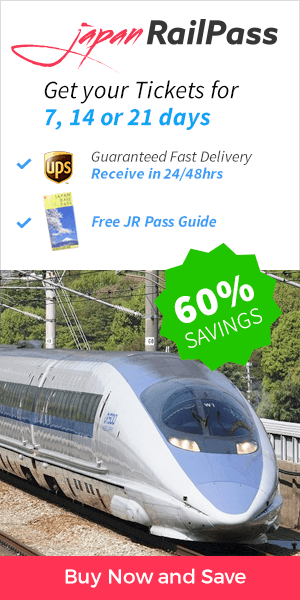 After all, your Japan Rail tickets are only a click away.